• The government will set up a body to oversee large public/state enterprise purchases while new legislation is pending to ensure transparency in projects undertaken in the meantime. Deputy Prime Minister for Legal Affairs Wissanu Krea-ngam said the planned body will not interfere in auctioning and purchases, but will only inspect complaints to assist administrative courts in handling such cases. • Most Thai political parties has been urging more action to clean up Thai politics in order to achieve reconciliation. 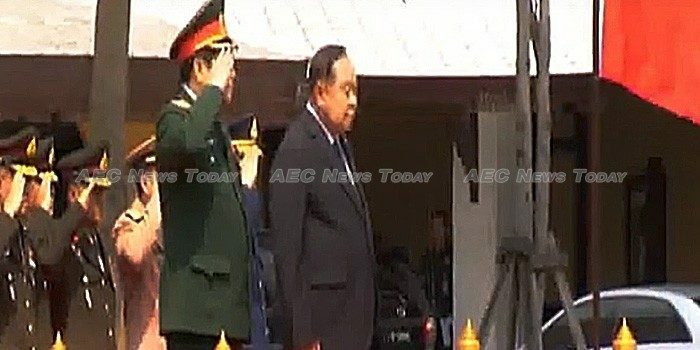 Defence Ministry spokesperson Major General Kongcheep Tantrawanit, who is also chairman of the subcommittee in-charge of the public relations campaign to promote reconciliation, said that the subcommittee tasked with collecting opinions related to reconciliation has had good cooperation with the first group of parties invited to share their views. • The National Legislative Assembly (NLA) and the National Reform Steering Assembly (NRSA) have jointly organised a seminar to gather feedback on the proposed public information bill, which will give people greater access to information. The draft public information act will streamline the process for people to seek information about public organizations. • The Ministry of Finance (MoF) has extended the second round of low-income registration from April until May this year. The eight million people who registered in the first round are required to do so again to update their information. • The Stock Exchange of Thailand (SET) is organizing a campaign called ‘Invest Now’, aimed atencouraging the public to have an investment plan, financial discipline, and long-term savings; only about 38 per cent of Thailand’s 40 million work force have a retirement savings plan. • Deputy Prime Minister for Economic Affairs Somkid Jatusripitak said that next week the Ministry of Finance (MOF) will propose a raft of tax incentives aimed at drawing investments to the country’s Eastern Economic Corridor (EEC). Newsline is a daily Thailand English-language news and current affairs programme produced by the National News Bureau of Thailand (NNBT) under the Thailand Government Public Relations Department (PRD) for *NBT World, the NNBTs 24/7 English language television service delivering Thailand government news and information to the Thai, Asean, and wider Asian communities via cable and satellite. It is also available via android and iOS apps.